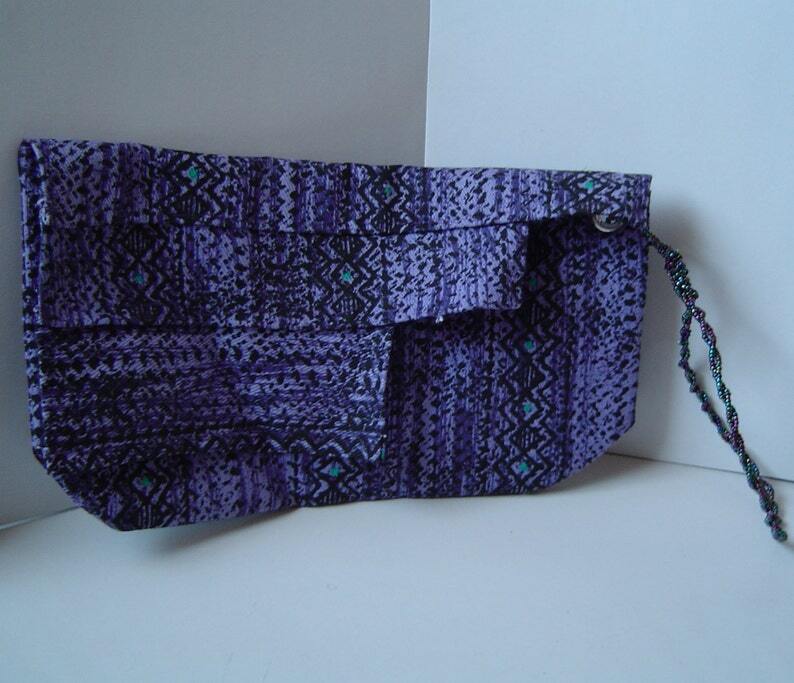 This wristlet is made from a medium weight cotton fabric with a beaded bangle wrist strap and closes with a velcro closure. Fabric paint was used to color some of the inside of the wristlet. It measures approximately 10in x 6 in. The wrist strap measures about 10 inches around.